49 x 60 x 41 1/2 in. Accession receipt reads: Credit for the donation, if listed in your records or on any display signs or other identifying materials, should also list Yale University Computer Center. The peroperty was given to me, unconditionally, in summer 1975. G.S. 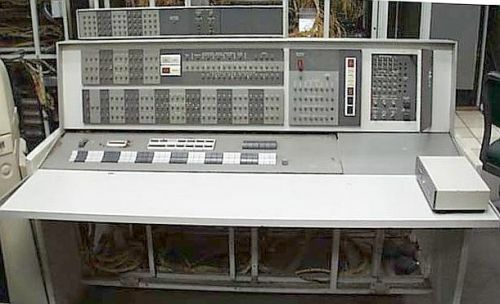 Donor letter reads: In 1962- 63, I was Manager of Operations of the Yale Computer Center in New Haven. Subsequently, I attended the Graduate School of Arts and Sciences at Yale, and as a result had a number of friends at the Center with whom I kept in touch over the years. 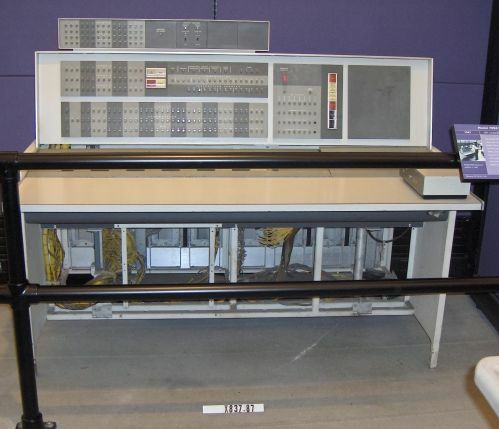 When the DCS system (tightly- coupled IBM 7094-7040 system) was finally abandoned by Yale in the early to mid 1970s, I asked for the console, hoping ecventually to build a desk from it. Now, ten years later, we are moving, and I have not begun; it is time to put the object to some better use if possible. The console was given to me free of charge, and I ask only that the Museum pay the shipping cost from Stamford [CT] to Boston. 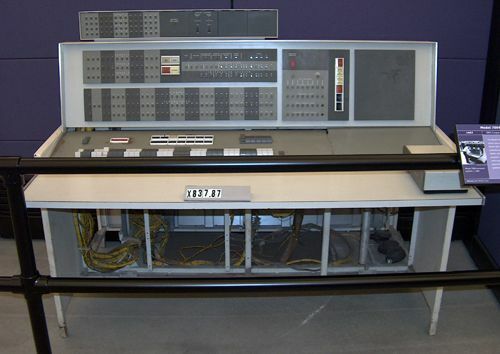 The console is bulky, about the size of a large desk, and weighs probably about 300- 500 lbs with all side panels. Apart from being dirty, it is in reasonably good shape (and may even be electrically functional if one had a means to test it!). 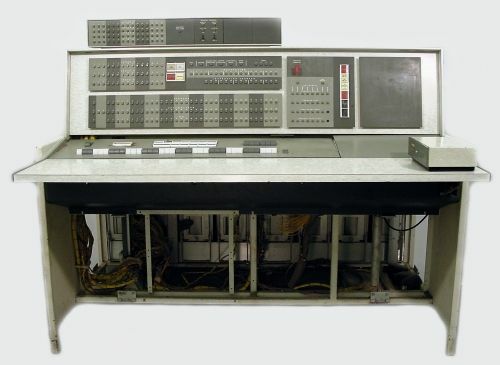 It is missing only the small IBM 7094 sign that normally protrudes from its top.